What happens when you stop listening to the loudest voice in the room and start listening to your data? Data can provide the insights you need to gain a large competitive advantage. It can help you optimize your conversion rate, find the channels that provide the highest return, and create an army of loyal customers through an impactful brand. 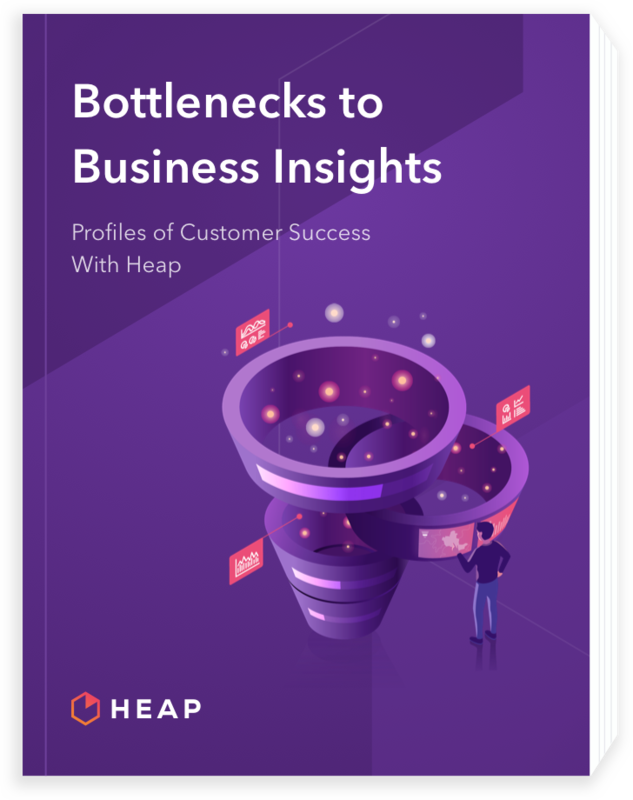 The companies showcased in the e-book Bottlenecks to Business Insights have done just that — they’ve captured and analyzed user behavior data to gain critical insights into their business. And they didn’t stop there: those insights led the way for micro-optimizations that resulted in major ROI in areas across the business. Thousands of companies choose Heap for automatic, retroactive insights. Companies like Payless, Microsoft, and Instapage use sources to optimize their customer’s experience. Heap allows us to stop relying on multiple vendors for marketing attribution. We finally have a complete, centralized view of which campaigns were associated with outcomes. We can get granular on who is doing what, when, and how.